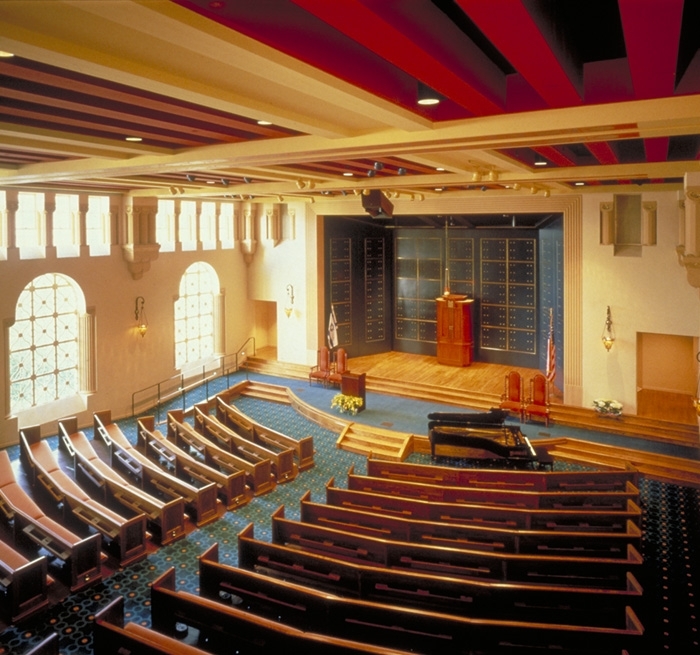 Temple Emanu-El was dedicated in 1926 and was designed by architect Arthur Brown, Jr., architect, who also designed the San Francisco City Hall, the War Memorial Opera House and the War Memorial Veterans’ Building. Drawing inspiration from the famous Haggia Sophia in Istanbul, Brown’s design features a 150-foot dome side colonnades and arches. 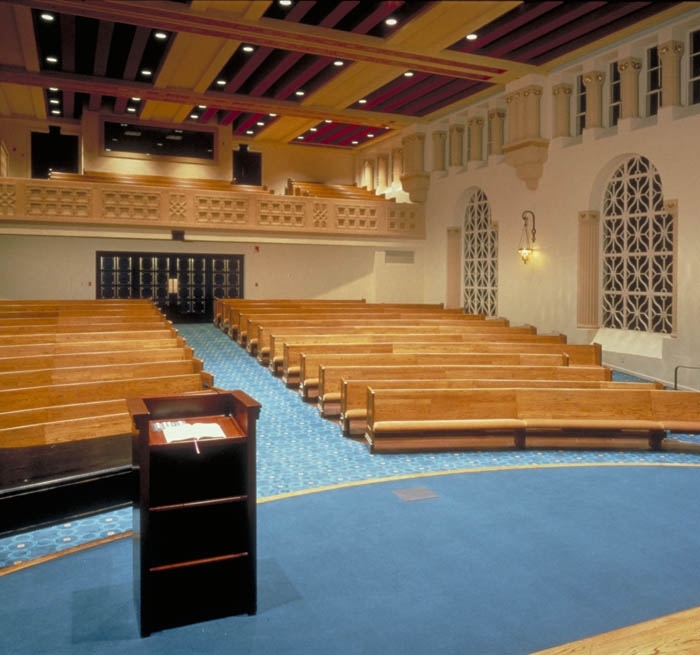 In addition to worship services, the Temple is used for musical events, lectures and education programs for adults, youth and families. Auerbach Glasow provided architectural lighting and design for the renovation of the 1,700-seat Main Sanctuary and the 250-seat Martin Meyer Sanctuary, which converts from a worship space into a theatre. Classrooms, public circulation, library, a meeting room, art vitrines and the reception area were also part of the scope. The Main Sanctuary included the renovation of the historic chandeliers and sconces. 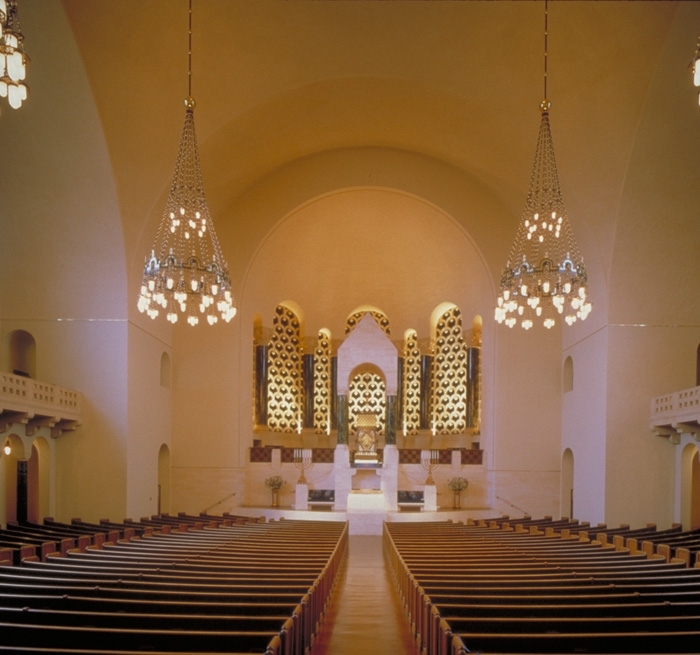 The creation of an oculus in the dome provided an opportunity for accent lighting of key architectural and religious elements such as the Torah Ark and the Bimah. 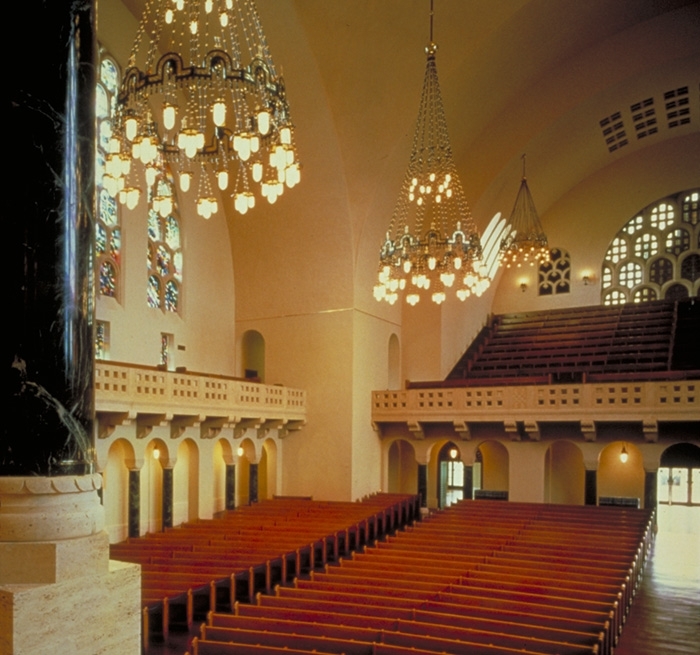 The Martin Meyer Sanctuary included the refurbishment of the historic light fixtures, improved areas of illumination and accent of architectural features.